It is time to change the oil before winter gets here. I've been changing the oil in my 1978 VW Campmobile every six months, or about 1,500-2000 miles. According to the manual, the oil should be changed every 7,500 miles, but I don't drive that much each year. I am trying to be very liberal with the oil changes to keep engine wear to a minimum. I would like to get as many miles as I can with this original Volkswagen 2.0L Type4 engine. In order to heat up the oil before I change it, I like to run a short errand for any last minute parts or beer. This time I drove up the street to Pep Boys for the Castrol 20W-50. Once home, I let the bus rest for a few minutes. From under the engine, the drain plug is removed using a 19mm socket. The oil is then drained into a 15qt change pan so it can be recycled. After draining the oil, I removed the oil filter and oil strainer. The oil filter should be able to be removed by hand. The oil strainer is removed using a 13mm socket and cleaned using Gumout Carb + Choke Cleaner. Another tip from Colin that helped; the strainer cover plate can be cleaned with dish soap, to reduce the chance of leaking oil. After the oil has sufficiently drained, install the drain plug and new washer, and then tighten with a 19mm socket (16 ft lbs). 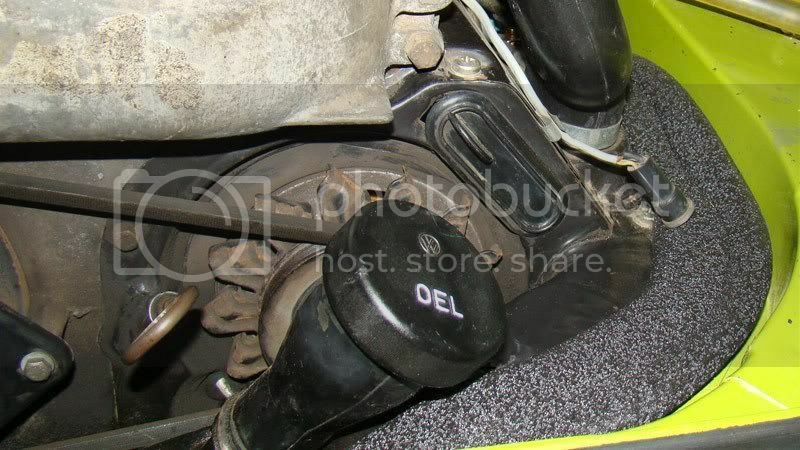 Install the new oil filter (coat rubber seal with oil) and hand tighten. Install the oil strainer with a new gasket set, and then tighten with a 13mm socket (9 ft lbs). Do not over tighten the oil strainer bolt. I use Castrol GTX 20W-50 motor oil. I tried synthetic for a while, but learned it wasn’t worth the extra cost. Instead, I just change the motor oil on a regular basis. Remove the oil filler cap. Using a funnel, fill the bus with 3.7 quarts (with an oil filter change) or 3.2 quarts (without an oil filter change). Replace the oil filler cap and clean up any oil spills. I will wait a while and then check the oil level. If it looks good, I’ll let the engine run for a bit and then I’ll check the level again. If there aren’t any leaks, it is time to take the bus out. I found your twin, perfect condition, all original interior, everything, 105,000 miles on original engine, from 1978 and has been garaged all it's life. I love it. 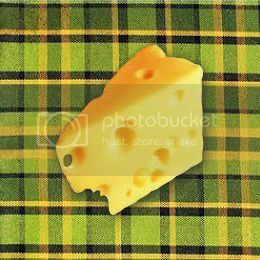 It even has pea green/mustard yellow plaid interior. I really want to buy it, however I have no idea how much it will cost me in the long run to keep it running. Is a new trans, engine, parts, etc. a lot more expensive than a "regular" car? I have wanted this bus since I was 15, (I'm now 33) and now that I have the chance I am hesitating due to lack of knowledge regarding upkeep. Please give me some advice! Hi there, was checking out the internet , looking for VW stories about VW Buses and came across your blog. site. Always interesting to check out other VW owners and their trials and tribulations of Volkswagen ownership. I currently have a 1974 VW Kombi..8 passenger,,imported from Germany, two owners ago. A bit of a work in progress. I tried uploading a picture of my bus, but it wouldn't take it for some reason. My name is Indy. I'm a '76 Westy now living in Arkansas since my new owner adopted me. My previous owner who lives outside Indianapolis, took great care of me and removed all of my rusted panels, had me painted inside and out, put new tires on me, and my interior already looked great. Now I'm in a warmer climate and I love living in Arkansas. My owner, too, has wanted to adopt someone like me since he was in college (over 30 yrs ago). He has had to do minimal mechanical work, but my owner is very happy. We get laughs and peace signs displayed to us everyday. It's been great. If you are interested in seeing pictures, let me know. Your blog about Volkswagen transporter is informative. It is really great work. Thanks for sharing your experience with us. We like Volkswagen transporter . I have bought Volkswagen transporter . It has high quality driving, good mileage, interior and exterior looks good. We really enjoyed driving this car . Just wanted to check recommended oil, my 78 Champagne Edition Westy needs an oil change. Thanks for Posting. That's why your car is still on the road after all these years. I'm changing oil on my car every 5000 miles, when I'm visiting my car service - myzdegree. I don't think that my car will work after 20 years.